Saltillo tile is a popular flooring option in the American southwest and other warm climates. It is named for the city of Saltillo, Mexico where it is produced. It is a type of terra-cotta tile that is available in a variety of colors and shapes. Like other terra-cotta products, it is highly porous, which poses a certain challenge in installing and maintaining it. What sets Saltillo tile apart from other similar products is that it is unglazed. This lack of glaze combined with its natural porous nature makes Saltillo tile relatively simple to paint with the proper instruction. 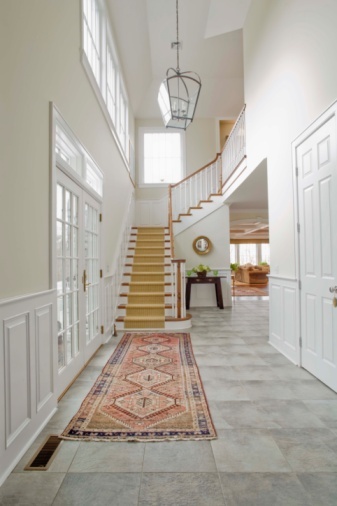 Painting floors can give your old floors a great new look. Clean the tile with floor cleaner and a scrub brush. Move the brush in a circular motion to get any ground-in dirt. Let the floor dry for up to two hours. Sweep the floors starting in a corner and sweep toward you until you have swept the entire floor. 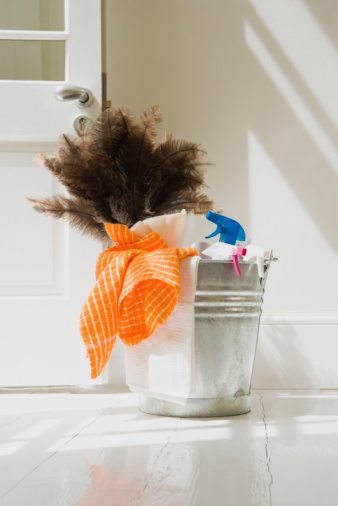 Remove any dust or dirt you may have picked up with the broom. Apply sealer to the floor with a paint roller and let it dry overnight. In the morning apply a second coat and let that also dry overnight. Apply the paint you wish to use and let it dry overnight. Apply a second coat the next morning and let that dry overnight. 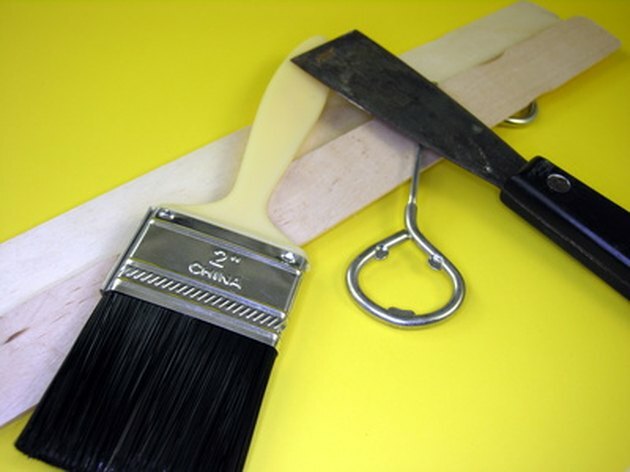 Apply a coat of lacquer to seal the paint and protect your floors. Heather McDowell has been a freelance writer since 2009. Her instructional articles appear online, specializing in topics about cooking, animals and painting. Her major goal is to become a pastry chef and she is planning to pursue a degree in culinary arts at Rend Lake College.